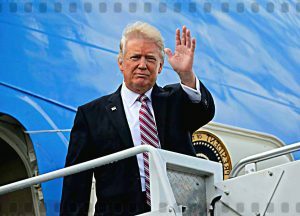 Washington, DC – President Trump has announced that he and his first family will be vacationing in Fargo, North Dakota sometime in the near future, but is giving few details about the presidential trip. The President has also indicated that his vacations will shift from a time-based approach to one based on conditions, such as: 1. Are we having a good time, or 2. Is Fargo now a functional democracy? Unlike previous presidents, President Trump is not giving out any arrival date or hasty departure date in order to keep everyone on their toes, or high heels in Melania’s case. “I will not say when we are going to vacation in Fargo, but vacation in Fargo we will,” Trump said. Also, President Trump is acting more like a CEO than a president by authorizing his team members to make decisions on their own, such as: 1. Where shall we eat, or 2. How about if we go see a movie at the Fargo Theater? Protestants are expected to show up when President Trump attends a church service at a local Protestant church.